Level 2 Supporting Teaching and Learning plus GCSE English and maths at grade 4 or equivalent Level 2 qualification. These qualifications are suitable for a range of learners either working or wishing to work in early years education and care. The Diploma is also suitable for those wishing to progress to higher education. In order to achieve the CACHE Level 3 Diploma in Childcare and Education (Early Years Educator) you must complete 15 mandatory units, including all the criteria you must know about which is contained within the delivery guidance. You must also complete an Effective Practice Study and Extended Assessment (externally set, externally marked). Competence-based Professional Practice Portfolio covering the above areas. Modules are assessed by national assignments which are all externally moderated. In addition, practical skills and competency will be assessed within the placements. 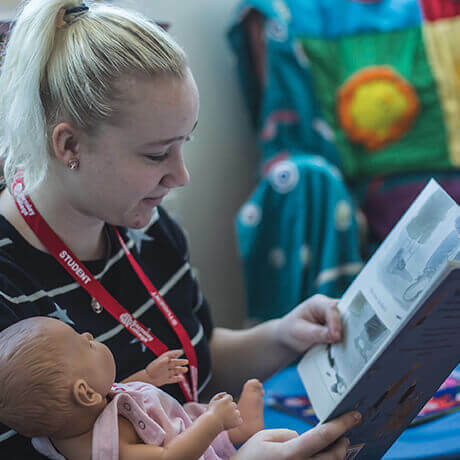 The high level of skills required to achieve this qualification enables you to progress to Higher Education within early year’s childcare and education sector or a different field of study, this qualification allows you to gain up to 168 UCAS points. This qualification also gives you a licence to practise which will enable you to progress into various unsupervised job roles in the statutory, voluntary or private sectors such as (this list is not exhaustive).